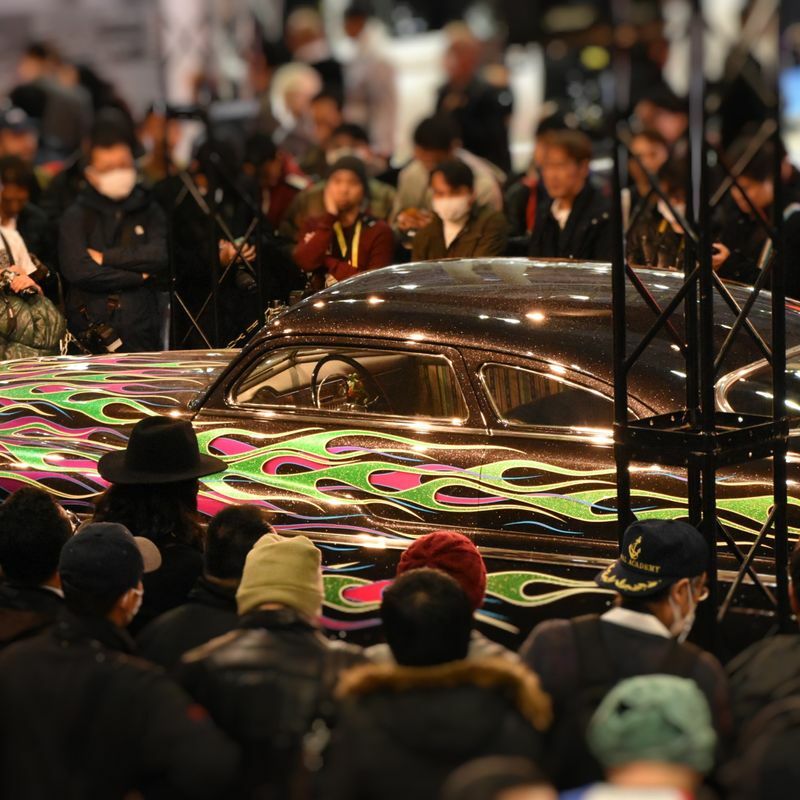 Annual custom car extravaganza Tokyo Auto Salon returns to Japan in 2019 with event organizers, the Tokyo Auto Salon Association (TASA), last week announcing show dates for what will be the 37th edition of the show. Tokyo Auto Salon 2019 (TAS 2019) will be held again at the huge Makuhari Messe international convention complex in Chiba, east of Tokyo, over three days from January 11 - 13 (Sunday) with advance tickets set to go on sale from November 1 on the event’s official website. Held under the moniker of Tokyo Exiting Car Show, the inaugural auto salon took place back in 1983, adopting the name Tokyo Auto Salon in 1987 on its way to becoming an essential set of dates for motoring fans on Japan’s auto show calendar. While over recent years TAS has featured an ever-increasing lineup of new models, concept cars and circuit vehicles from Japan’s leading automakers and racing teams, as well as those from overseas, this auto salon (as the name might suggest) really cuts its teeth on the aftermarket, tuner, and custom car scene. Arguably, it’s here where most of the fun (or indeed the ‘exciting’ part) lies and where TAS lends its appeals to a broader spectrum of visitor than might be the case with other large auto shows in Japan. In fact, little understanding of what’s going on under the hood is required to get a kick out of the cars on show here -- they might be impressive works of engineering, but they can also be enjoyed as impressive works of art. Perhaps the term ‘impressive’ needs to be qualified in the case of Tokyo Auto Salon. What’s impressive are the paint jobs and body kits -- running from hallucinogenic madness to retro cool, anime-inspired cute to gangster bling -- and all the other bits of kit and custom-car accoutrements (rims, tires, seat covers, dashboard toys, lights, bumpers, spoilers and all the rest). Where auto shows that focus on concept and future tend to give off an air of brutal efficiency, ultimately Tokyo Auto Salon is unbridled in its human touch, which is often, and by turns, wonderful and delightfully bonkers. Tokyo Auto Salon organizers have helped to deliver a show that for each of the last four editions (since 2015) has seen over 300,000 visitors pour through salon doors with last year's event, TAS 2018, gathering together over 440 exhibitors to showcase some 880 customized and tuned up motors. Once again then, Tokyo Auto Salon 2019 comes with the promise of being held on a largest-ever scale occupying Makuhari Messe International Halls 1-11, International Conference Hall, Makuhari Event Hall and Outdoor Area. Added to this, 2019’s show will feature extended opening hours on the final Sunday allowing salon visitors to ogle until 6 pm. Don’t let the size of the real estate and length of hours fool you though, if previous editions of TAS are anything to go by, the event space will be full to bursting with booths, motors, models, and excited visitors. And it’s an absolute blast. Are you excited about Tokyo Auto Salon 2019?